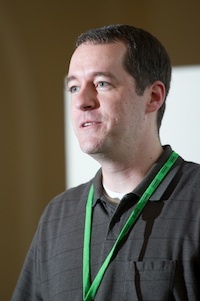 Sean Cribbs is a Senior Software Engineer at Basho Technologies, where he has contributed to many aspects of Riak, the distributed database. In 2011, he grew tired of the Rails/Sinatra/Node echo-chamber and ported Basho's Webmachine HTTP toolkit from Erlang into Ruby. Prior to Basho, Sean was a freelance developer and consultant who also managed the development of the open-source Radiant web publishing system, and erstwhile pianist, composer, music theorist, and conductor. At REST Fest, everyone speaks. Each attendee has something valuable and interesting to contribute, and we don't want to miss out! Checkout our People wiki page for bios and Five-in-Five "lightning" talk proposals. Join us on Friday and Saturday, and make your contribution!